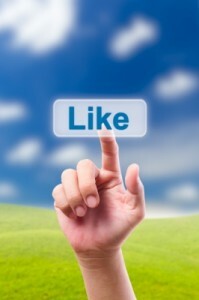 These days any savvy business owner knows they must have a Facebook page. Facebook marketing is not only inexpensive; it is effective. While most business owners set up a Facebook page, they will have to do more if they want to be successful in their brand marketing. A solid Facebook page will create a lot of interest. Naturally, people like to talk about their lives on Facebook. When they incorporate their lives with your brand, your business will gain more new customers. Brand marketing is all about, what is trendy now. If you can make your business attractive, your customers will market your business without being asked. Furthermore, if your business is often on their mind, your customers are more likely to remain loyal. You need to be active with your Facebook page. You need to post often, offer prizes to your followers, and you need to create interest in your product. One of the best ways to create buzz and get followers is to have a contest and offer a free product to the winner. Of course, you should offer one of your own products, take the opportunity to show your followers what is new with your product line or service and get the word out! Naturally, when someone wins something on Facebook, they are going to brag about winning. This will create a huge following, and you may gain an influx of visitors. Generating followers by offering your services or product via a giveaway is one of the best Facebook secrets; your business can go viral on social media. Facebook helps with SEO results. When you run an effective Facebook marketing campaign, you will get a lot of links to your site. Links to your site will help your SEO efforts as the leading search engines greatly value links. As you can see, without Facebook your brand is losing out on an opportunity. When you set up a quality Facebook page, and update your page frequently, you will see a spike in traffic. Remember to spend a few hours a week on your social media campaigns, it will pay off in the end.